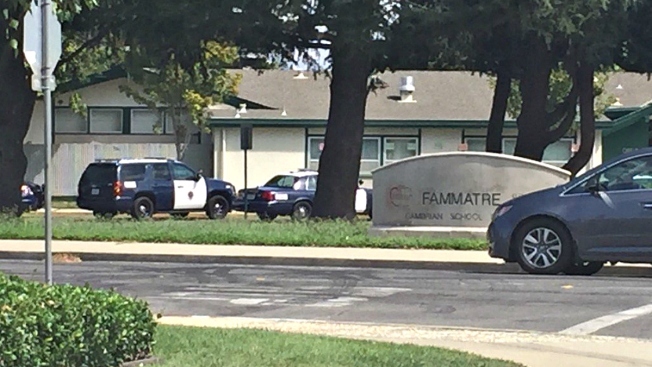 Reports of an armed person inside a San Jose elementary school bathroom prompted temporary lockdowns at two schools Monday, according to police, but no stranger or weapon was ever found. Fammatre Elementary School, which is located at 2800 New Jersey Ave. and nearby Ida Price Charter Middle School were on lockdown while police combed the area, according to officials. Three students originally reported that an armed adult was in a bathroom on the Fammatre campus, prompting school officials to call police, according to the school district. Officers thoroughly searched both campuses, but they did not find anything, police said.